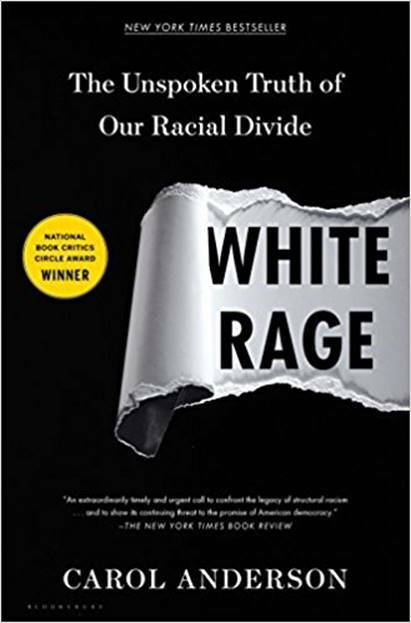 Since the passage of the Thirteenth Amendment, every time African Americans have made advances towards full participation in our democracy, White reaction has fueled a deliberate and relentless rollback of their gains. The end of the Civil War and Reconstruction was greeted with the Black Codes and Jim Crow. Then there was the so-called Southern Strategy and the War on Drugs that disenfranchised millions of African Americans while propelling presidents Nixon and Reagan into the White House. Carol carefully links these and other historical flashpoints when social progress for African Americans was countered by deliberate and cleverly crafted opposition. She pulls back the veil that has long covered actions made in the name of protecting democracy, fiscal responsibility, or protection against fraud, and renders visible the long lineage of White rage, adding an important new dimension to the national conversation about race in America. In this presentation, Professor Anderson explains the devastation of Hurricane Katrina in New Orleans through the lens of U.S. foreign policy decisions in the 1940s and ‘50s. Based, in part, on her book, Eyes Off the Prize: The United Nations and the African American Struggle for Human Rights, 1944-1955. An academic (but engaging) presentation on the NAACP’s crusade against apartheid South Africa, 1948–1951. 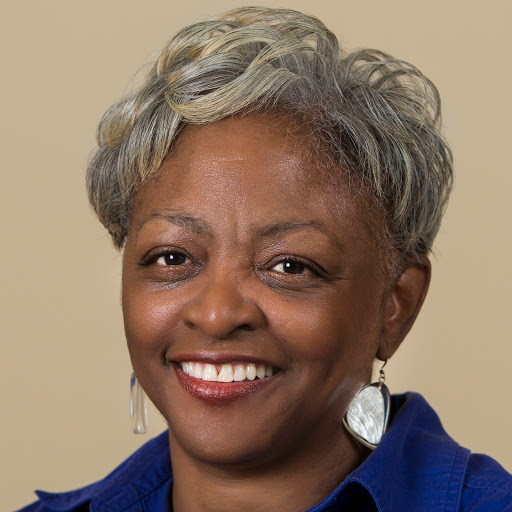 Carol Anderson is professor of African American Studies at Emory University. 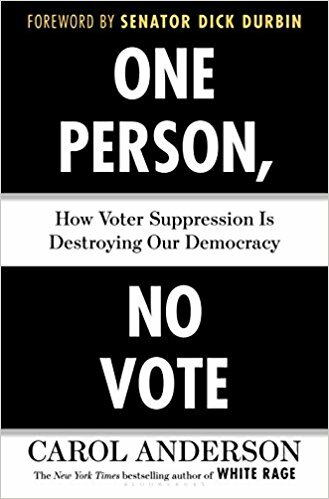 She is the author of several bestselling books including One Person, No Vote: How Voter Suppression Is Destroying Our Democracy (2018) and the critically-acclaimed White Rage (2016). 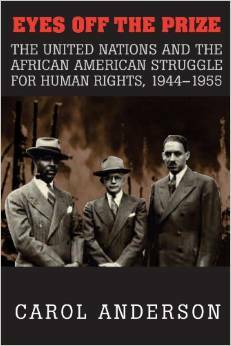 Professor Anderson is also the author of Eyes Off the Prize: The United Nations and the African-American Struggle for Human Rights, 1944-1955 (Cambridge University Press), which was awarded both the Gustavus Myers and Myrna Bernath Book Awards. 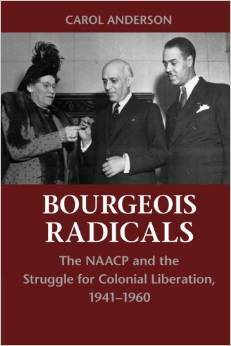 Her book Bourgeois Radicals: The NAACP and the Struggle for Colonial Liberation,1941-1960 was published by Cambridge in 2014. She is a Phi Beta Kappa graduate of Miami University, where she earned bachelor's and master's degrees in Political Science (International Relations) and History. She earned her Ph.D. in history from The Ohio State University. In this presentation, Professor Anderson explains the devastation of Hurricane Katrina in New Orleans through the lens of U.S. foreign policy decisions in the 1940s and ‘50s. Based, in part, on her book, Eyes Off the Prize: The United Nations and the African American Struggle for Human Rights, 1944-1955.